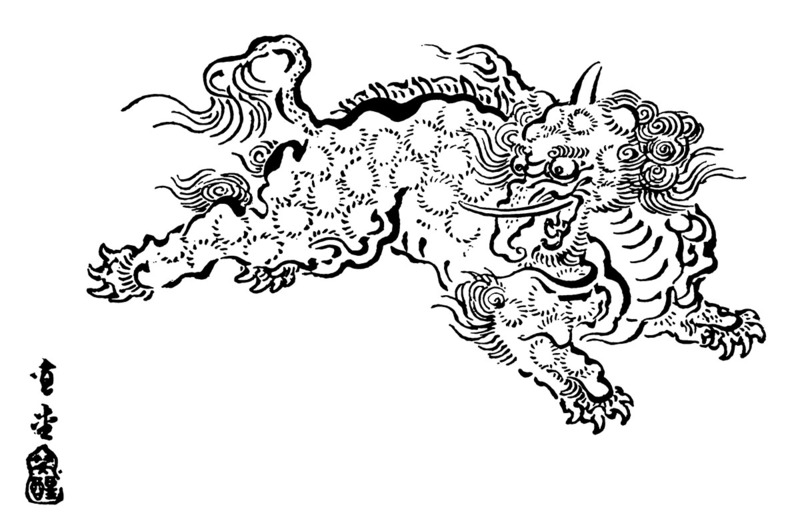 This illustration of a Baku comes from a 1902 book called Kotto, by Lafcadio Hearn... Hearn was essentially the first person to articulate the legend of the Baku for English language readers. Unfortunately, he didn't mention where he got this illustration from, so we've got no idea how old it is. If you want a Baku's protection from nightmares, you can print this picture out and hang it in your bedroom; sweet dreams!